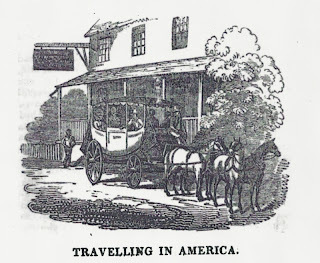 The above represents an American stage coach, and a view of the Waterloo inn, the first inn from Baltimore to Washington. 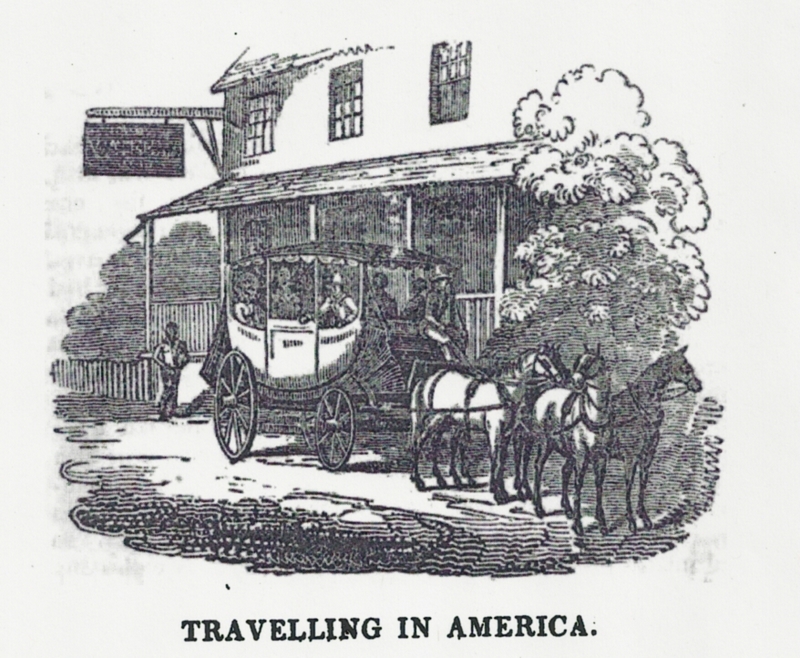 Of the "comforts" of an American inn, Mr. De Roos gives the following picture in his travels. We lodged at the City Hotel, which is the principal inn at New York. The house is immense, and was full of company: but what a wretched place! the floors were without carpets—the beds without curtains; there was neither glass, mug, nor cup, and a miserable little rag was dignified with the name of towel. The entrance to the house is constantly obstructed by crowds of people passing to and from the barroom, where a person presides at a buffet, formed upon the plan of a cage. This individual is engaged, " from morn to dewy eve," in preparing and issuing forth punch and spirits to strange-looking men, who come to the house to read the newspapers and talk politics. In this place, may be seen in turn, most of the respectable inhabitants of the town. There is a public breakfast at half past seven o'clock, and a dinner at two o'clock; but to get any thing in one's own room is impossible.
. . . We dined with an English merchant at his country-house, about four miles from the town. The environs are thickly interspersed with villas, the generality of which are constructed upon a very paltry scale. Both houses and gardens are arranged without taste or neatness; indeed, horticulture seems to be a science utterly unknown in America. What a review! He didn't mention the odor so did NYC not smell as bad as London? The bit about the towel will stay in my head forever -- wonderful! I love how people from the past didn't mince words! I used to work at the Edmundston-Alston House in Charleston, SC and had run of the archives. One of my favorite letters was from Mrs. Charles Alston to her husband, describing her trip to Greenville, SC with their daughter Susan in 1860. 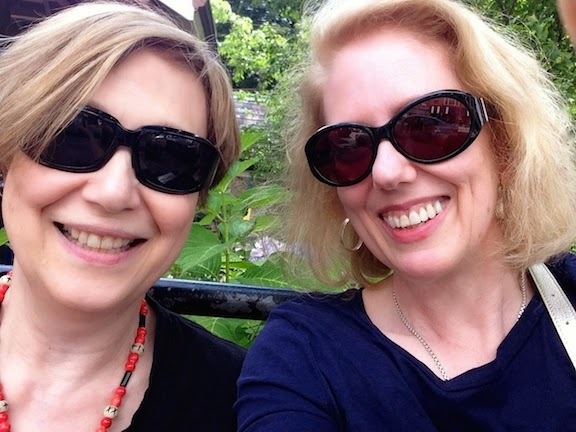 They apparently stayed a night at an inn in Spartanburg, SC (my home town). Mrs. Alston declared that it was an awful town filled with "blackguards and bad people." I had a great laugh about that! London didn't smell so great, either, but there were not, to my knowledge, swine running free in the streets. (Thank you, Charles, for that wonderful excerpt.) Thanks to the dustmen, refuse was collected, rather than being flung into the street for hogs to dine on. The hotels were much nicer, too--foreign visitors commented on the accommodations. In London, there were hundreds of good hotels, and many super deluxe ones--where royalty might stay for a time--in the west end.